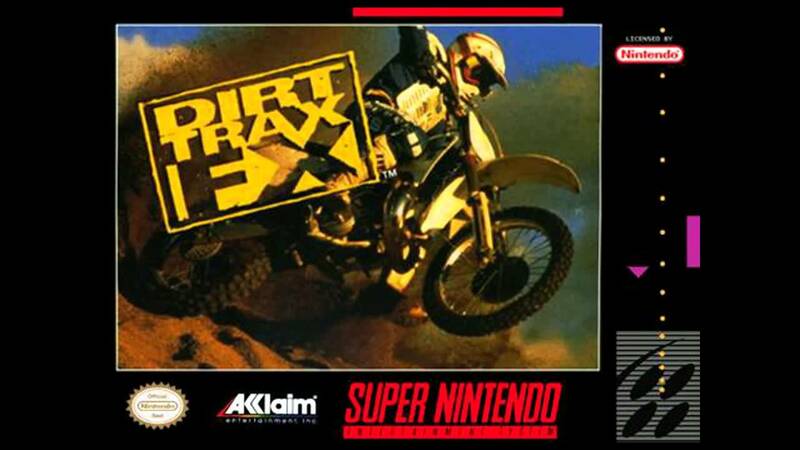 Dirt Trax FX for Super Nintendo has you speed through all kinds of tracks and terrain on your quest to prove yourself as the best dirt track racer out there. Take your choice of eight riders each with unique characteristics and abilities and 22 tracks that will put your skills to the test. There are four bikes to choose from 50 cc, 125 cc, 250 cc, and 500 cc and four difficulty levels.